Guys. This dip is. so. good. 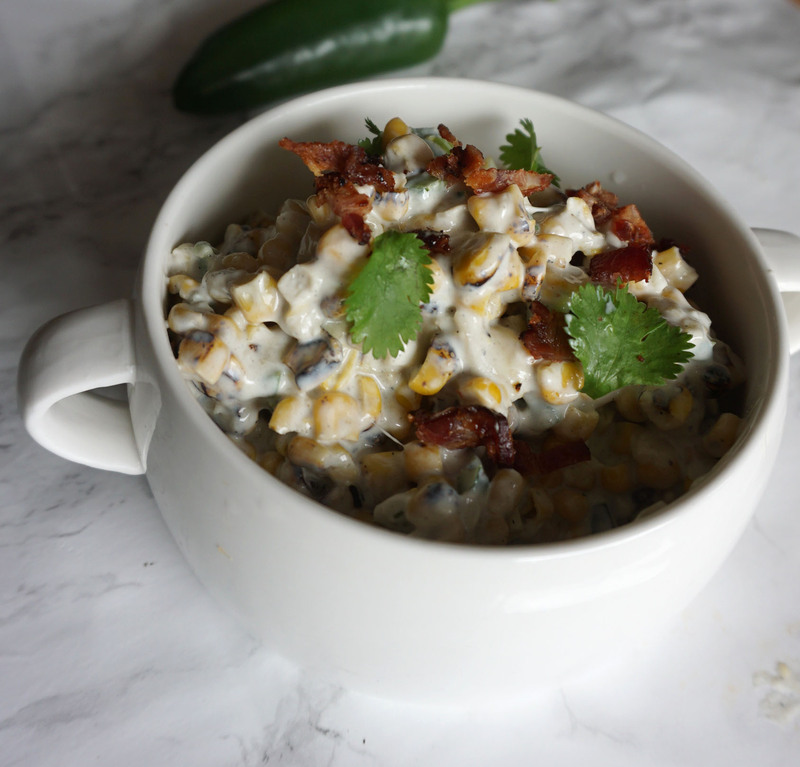 Sweet roasted corn, creamy cheese, and a bit of a kick from the jalapeños. Oh, and the bacon. Mustn’t forget the bacon. 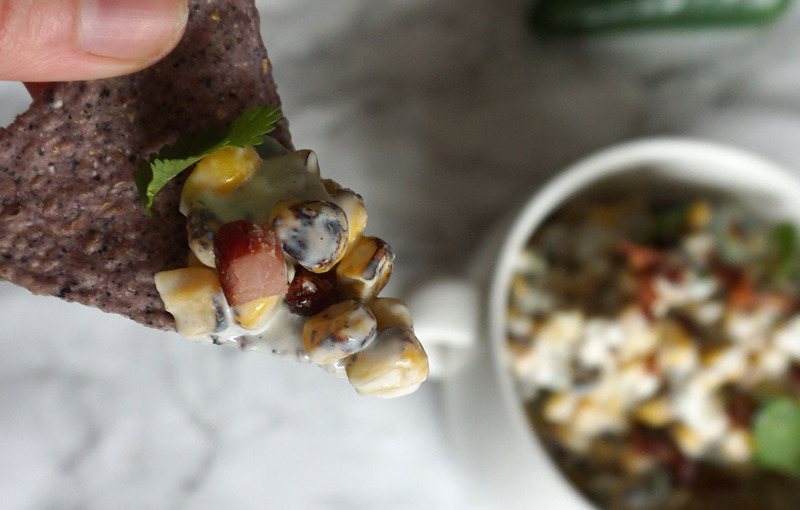 🐽😍 This dip reminds me a little bit of the Mexican dish Elote, which is a creamy corn dish. This is a great recipe for a party. Just throw everything in the good ol’ crock pot and your good for the day. I made this recipe for the Super Bowl and everyone was a fan. I made this with frozen roasted corn from Trader Joe’s, but there’s a lot of ways you could go about this. 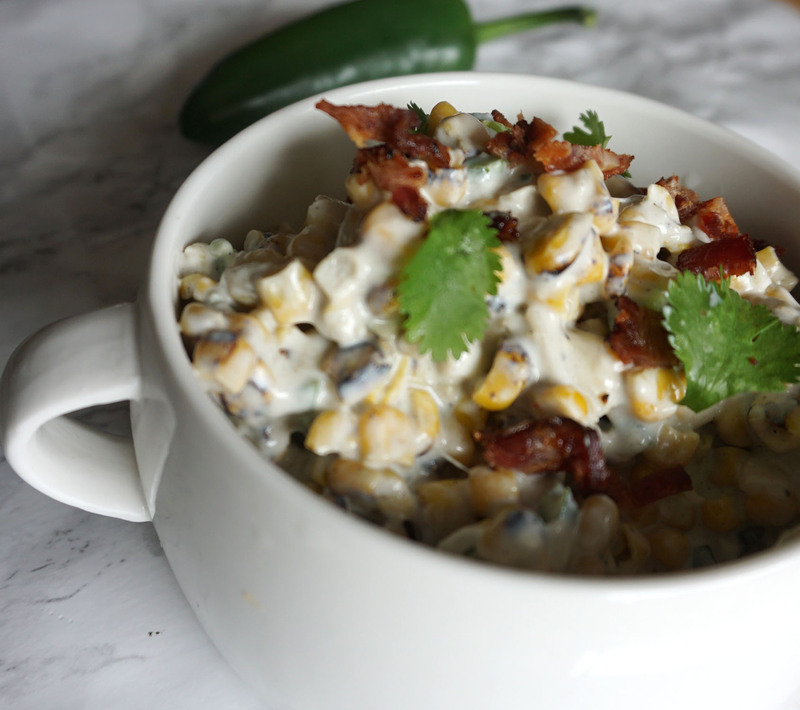 I’m sure this would be great using fresh corn – or fresh grilled corn – yum! 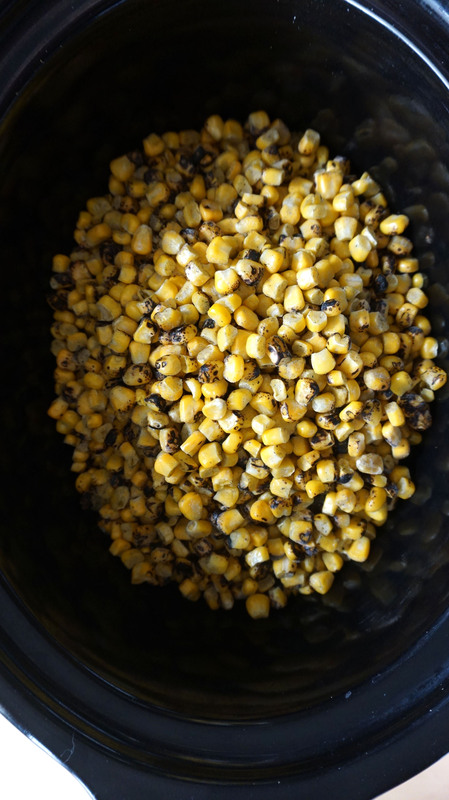 I just love the roasted flavor with the sweetness of the corn. Now if you want to make this veggie friendly I’m sure this would be great without the bacon. I bet that you could add some chopped red bell pepper to this if you want to beef up the veggies. It’s not the healthiest, but bacon does take it up a good notch. I used the Bits and Pieces Bacon from Trader Joe’s (are you seeing a pattern here??). It’s an interesting bacon if you haven’t tried it. It’s huge chunks of bacon – almost ham like, with huge chunks of fat. It worked out well for this recipe(I didn’t use the chunks of fat, obvi), but to each their own. Place all ingredients in crock pot. Cook at high temp for two hours or low temp for four. Stir ingredients after about an hour. Garnish with cilantro if desired.